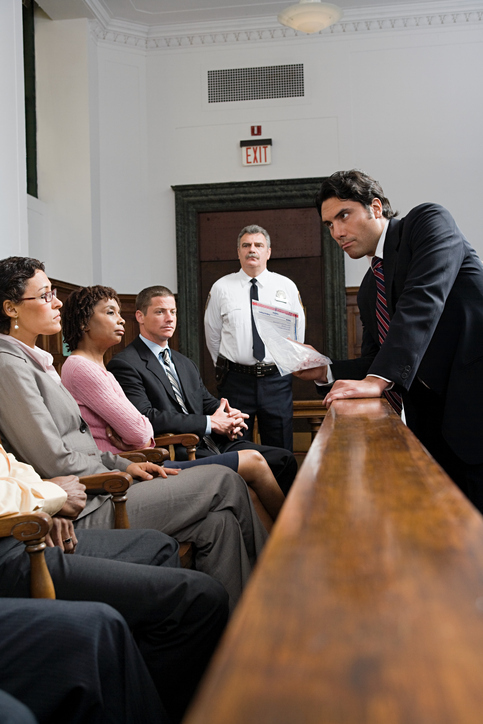 This article is the second in a series of four articles about courtroom storytelling (here is a link to part 1). My goal in this series is to reveal some of the tricks of the persuasive storytelling trade in one place for the busy trial lawyer. I hope that these recommendations can serve as a pretrial checklist for anyone who wants to draft an opening statement. A2L’s litigation consultants have published dozens of articles about storytelling, and we’ve released books and webinars on the subject. These ten tips represent the essence of what we have learned and of what we have taught. If you apply these ten suggestions when developing your story for trial, your story will be more persuasive, and you will radically increase your chances of winning your case. Tip #2. Charisma and likability matter. The best set of facts may not save a trial lawyer who is unattractive and poorly dressed. This isn’t fair or right, but it is a reality that science proves out. For these reasons and more, it is imperative to put your best foot forward. Tip #3. How you use litigation graphics can mean a win or loss. One of our former managers had an opportunity to make a presentation at a federal judges’ conference in New Jersey that brought together judges and lawyers from that state. About 300 lawyers attended, as did about two dozen federal judges. The subject of the presentation was storytelling and its role in trials. After the presentation was over, the speaker informally polled the judges in the room on their views concerning the importance of visuals at trial and the role of storytelling. Nearly every judge indicated that he or she thought that the use of demonstratives was a critical part of any trial presentation. This formed a notable indication, if an unscientific one, that judges, who are key decisionmakers in any courtroom, understand the role of visual persuasion. Here are six studies and articles that support the science behind using litigation graphics and visual aids of all types in courtroom presentations. The Wechsler Memory Scale (1946): First developed in 1946, this standardized measure of memory has come to be used to measure everything from the progression of Alzheimer's to juror memory and retention. It has been used to show that people quickly forget about two-thirds of what they hear. Many other studies draw similar conclusions. Enhancing Juror Comprehension and Memory Retention (1989) [pdf]: "[t]rial attorneys unknowingly present arguments and issues that exceed jurors' capacity to understand. . . . being confused or feeling intellectually inferior is psychologically uncomfortable, and jurors may respond with resentment and antagonism toward the presenting attorney. . . . Present as much of your case as possible using visual aids." The Persuasive Effect of Graphics in Computer-Mediated Communication (1991): Those exposed to graphics are more persuaded to act than those who are not. The test constructed here was whether graphics (either static or dynamic) made someone more inclined to pledge a donation to their alma mater than someone who was exposed to only text. A2L's Communication Style Study (2003): Practicing attorneys and non-lawyers prefer to learn and communicate differently. A majority of non-lawyers prefer visual communications. A majority of attorneys prefer non-visual communications. Thus, litigators must bridge this communication gap with visual courtroom presentations. Visual Evidence (2010) [pdf]: Visual aids in courtroom presentations enhance juror attention and recall and improve recall of key events. Charts and diagrams improve comprehension of quantitative information, and animation improves understanding of a dynamic process. Broda-Bahm Study (2011): This study found that an immersive (as opposed to an occasional or absent) use of graphics during courtroom presentations yielded the best results. Tip #4. Using multi-sensory language engages listeners more effectively. Best-selling books almost universally use language that engages the senses of sight, hearing and feeling. Great speeches do the same. Employing stories that incorporate metaphors and sensory experience activates the whole brain. It stimulates the same areas of the brains of the audience as the original action does (e.g., the olfactory cortex when hearing descriptive words involving smell such as lavender and cinnamon or the motor cortex when hearing about movement). Of course the facts matter, but the adjectives, the motives, the cause and effect, and the reasons jurors should feel, remember and care, matter too. Be sure to sign up to be notified as the next two parts of this article are published. There are five more tips coming in the next articles.